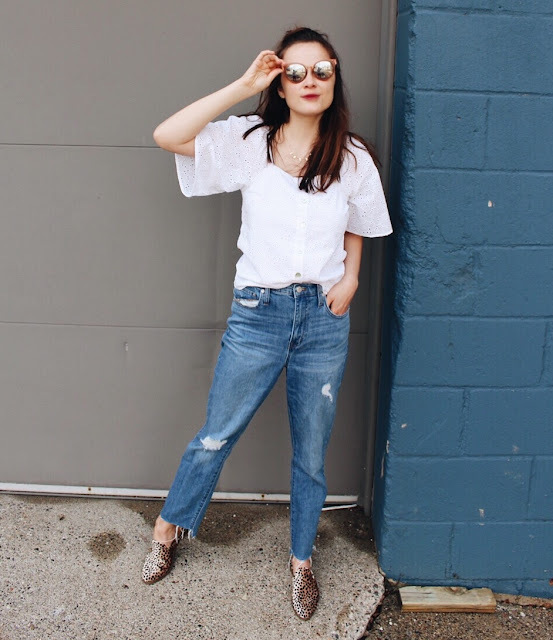 Outfit: Sunglasses, this eyelet top, my favorite jeans, and leopard mules (similar). Let's keep going with the mom wardrobe staples, shall we? 1. Boyfriend jeans- these are my favorite jeans ever. I think they would flatter just about every body. They also somehow feel as comfy as sweatpants? It's wonderful. 2. Jean shorts- I live in denim shorts in the summer, so I have a wide variety. But this pair with its high waist and longer hemline is universally complimentary. They're literally called "the perfect jean short". 3. 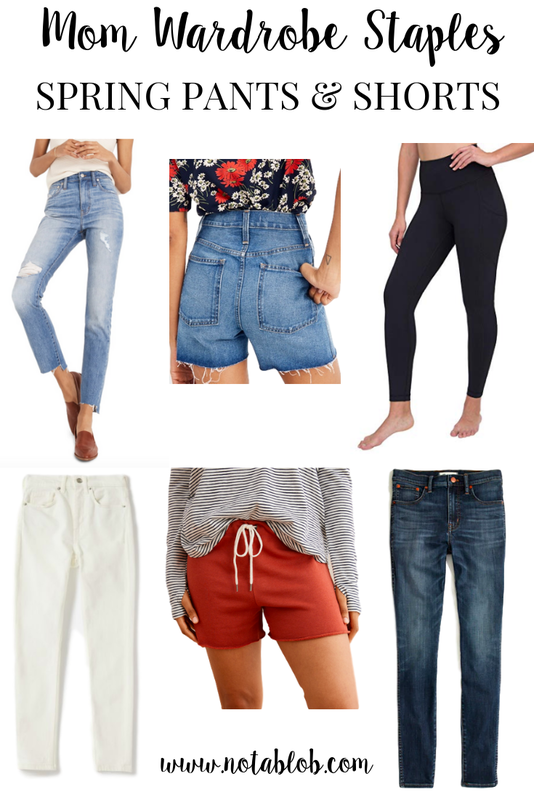 I wasn't going to include black leggings because they aren't very spring-y... but I realized black leggings are a mom must have, no matter the season. This pair is SO budget friendly but seriously on par with my Lululemon's quality. Seriously, read the reviews. 4. White jeans- This is my first year owning white jeans, so I wouldn't say they're a NEED but they're fun to mix in a little variety. 5. Comfy shorts- people are raving about this pair, and they have a longer inseam than most I've seen. 6. Not ready to put away my regular denim skinny jeans- They're a fall, winter, and spring staple here in Minnesota. I own two pairs of these, they're that good.